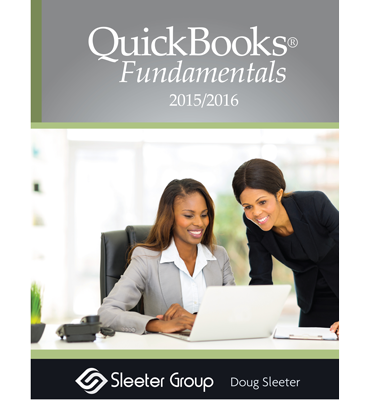 The QuickBooks 2015 Complete textbook from The Sleeter Group offers more than just typical software instruction. 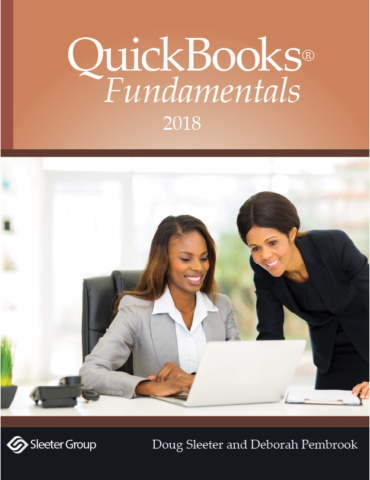 It is packed with hands-on step-by-step exercises that have students working directly in QuickBooks while they learn the accounting behind the scenes and the best practices. It provides a complete experiential learning environment with a 140-day QuickBooks software license, sample data files (work with U.S. QuickBooks only), and practice exercises so the students can apply what they are learning in class. 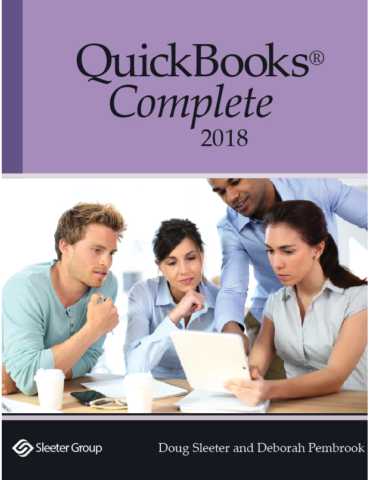 QuickBooks 2015 Complete includes vivid, color graphics and screen shots that explain how to do complex transactions in QuickBooks, making learning interesting and fun. Professors receive extensive support materials, including an Instructors Manual, PowerPoint slides, test banks, and solution files to all exercises. Professors may request evaluation copies for review. Help your students navigate the advanced topics they will face in the work world. 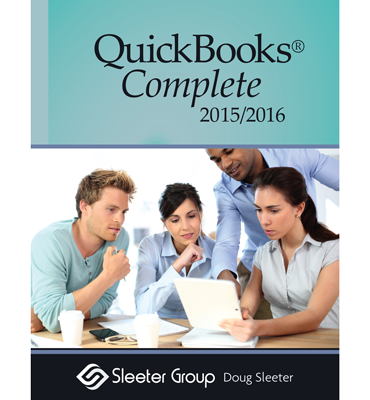 Each chapter includes a Sleeter Report section, with references to cutting edge current topics in Accounting Software Technology. 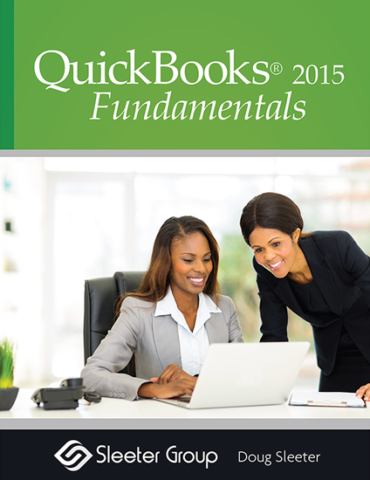 QuickBooks Complete 2015 has been fully updated to the QuickBooks 2015 version. Now printed in full color. 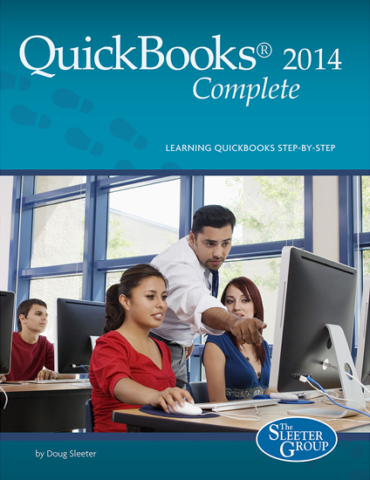 Teachers with accredited schools can request a free evaluation copy of QuickBooks Complete 2015. 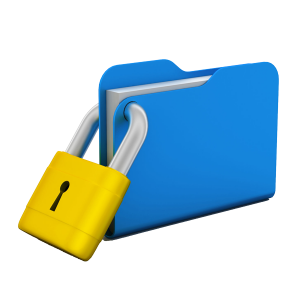 Along with the evaluation copy, instructors receive access to instructor only resources such as testing, PowerPoint slides, solution files and an Instructor Manual. *If applicable, please include a valid Seller’s Certificate or Sales Tax Exemption Certificate with your order.